The 2018 Honda CR-V’s cargo space helps it to stand out in a crowded segment, and it should come as no surprise that the experts at Kelley Blue Book have named it as one of this year’s 12 Best Family Cars. * The CR-V’s high-tech interior is flexible enough to respond to almost any need, and when you take the time to explore its available accessories, you’ll be able to accomplish even more! As the table above shows, it’s easy to transport just about anything when you drive the CR-V, and easy fold-down 60/40-split rear seating isn’t the only feature that makes its interior so adaptable. Drivers who choose this compact SUV will also be able to take advantage of numerous accessible cargo storage spaces, power-adjustable front seating, and a host of features that will help you access, protect, and secure your cargo bay. Beginning in the EX trim level, the CR-V comes standard with a 12-way power-adjustable driver’s seat. Those who upgrade to the EX-L model will also receive a four-way power-adjustable front passenger’s seat and a two-position memory function for their driver’s seat. 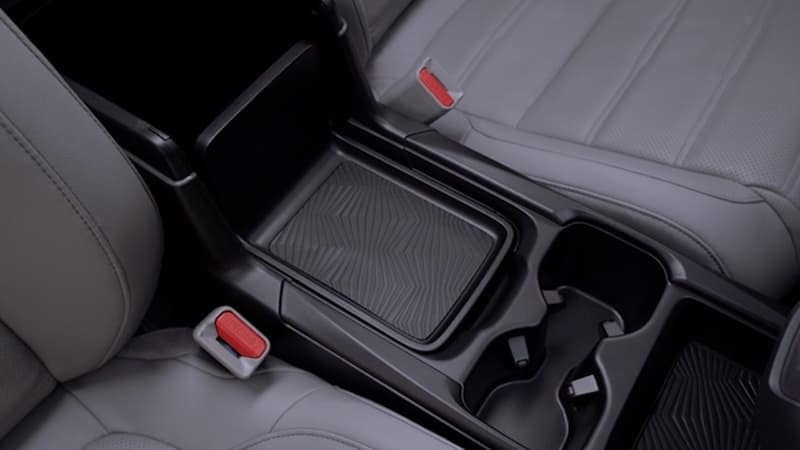 Every CR-V offers multi-functional center console storage, front and rear beverage holders, a lockable glove compartment, door pocket storage bins, and a driver’s side garment hook. On the EX, EX-L, and Touring trims, passengers will also enjoy access to a front passenger’s seatback pocket. Cargo-area tie-down anchors make it easy to secure cargo that’s liable to move around, and with the CR-V’s cargo-area lights, you’ll be able to find small items right when you need them, even at night! 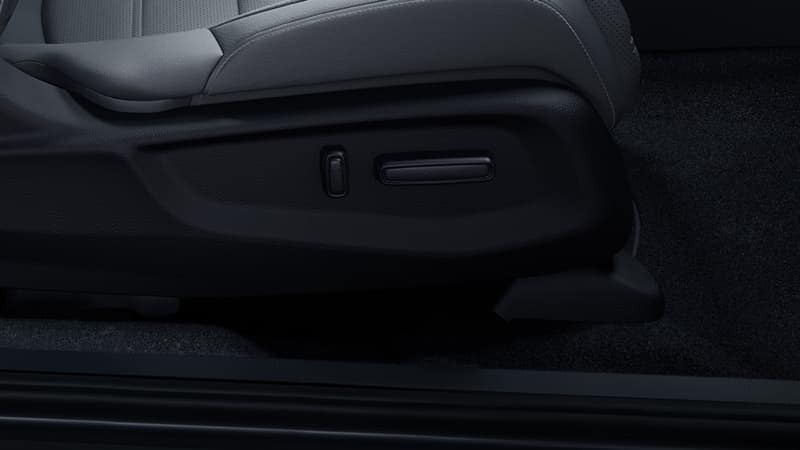 Upon upgrading to the EX-L trim level, you’ll also receive a retractable cargo-area cover, which you can deploy to keep your cargo safe from sun damage—and prying eyes. The CR-V EX-L comes standard with a power tailgate, and you’ll be able to program the height that it rises to when it opens. 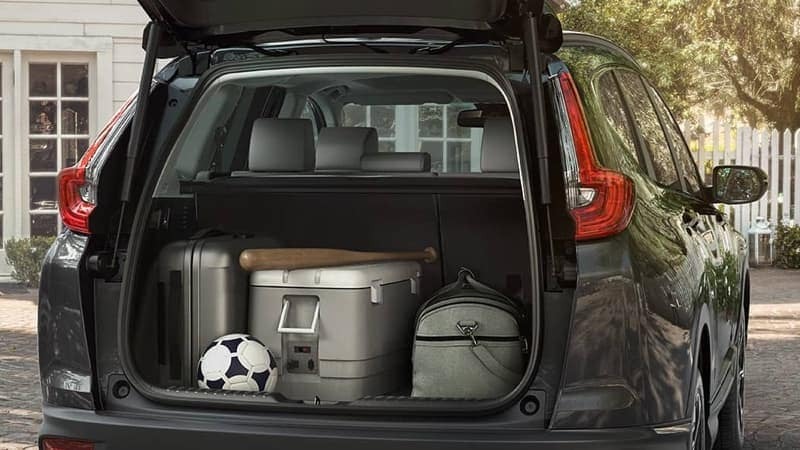 Upon upgrading to the Touring trim, you’ll also receive the celebrated hands-free access technology, which you can use to open your tailgate when you have your hands full. 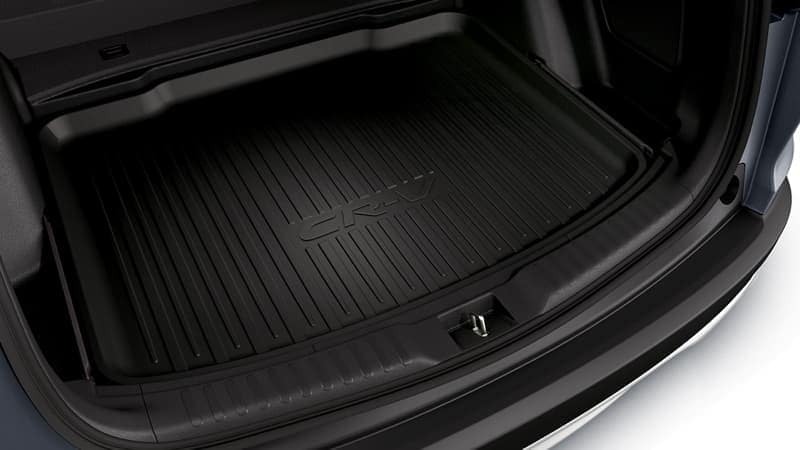 Just wave your foot underneath the rear bumper and your cargo bay will open automatically. For most drivers, getting everything they desire out of their next new SUV means taking the time to explore their selection’s optional accessories. Those who do so will be able to take more varied adventures, protect their vehicle’s interior, and keep all of their movable cargo organized. Most of these accessories are available on every Honda CR-V trim level. Drivers who choose the CR-V will be able to equip any trim with a cargo liner, a cargo net, a cargo organizer, and a cargo tray. 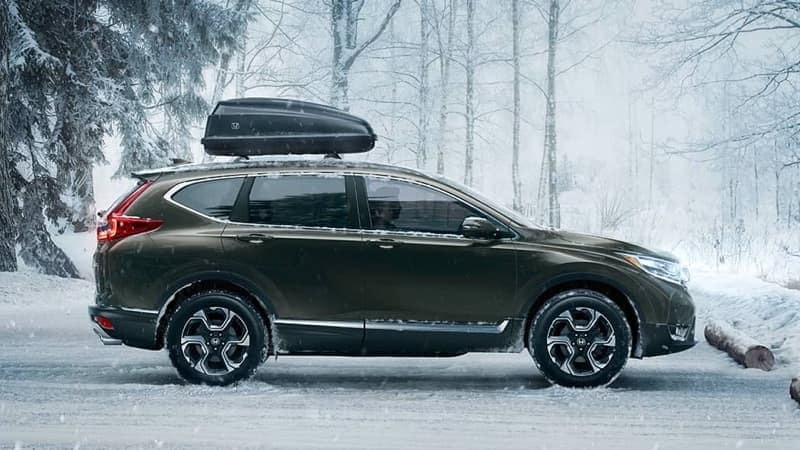 Any of these features will go a long way toward making your CR-V’s cargo bay more useful, and when you equip them all, you’ll be prepared for any challenge life throws at you. 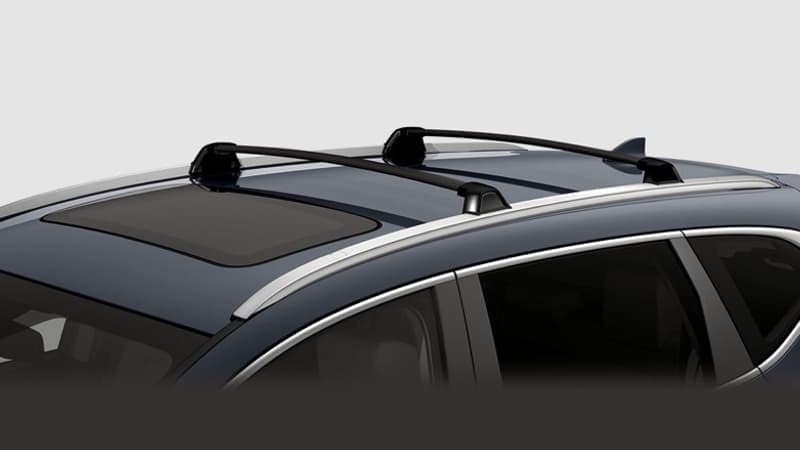 You can greatly enhance your ability to haul bulky and messy cargo by equipping your CR-V with a roof box and crossbars. The former opens from the rear, and offers a full 13 cubic feet of easily washable storage space—making it the perfect place to store wet and muddy outdoor gear. The CR-V’s available crossbars make it easy to tie down cargo that’s too large to fit in your cabin—and for everything that won’t fit on top, there’s the available trailer hitch. With roof rails and crossbars, you’ll also be able to equip a kayak attachment, a snowboard attachment, a surfboard attachment, a ski attachment, or a bike attachment roof mount. With these Honda-made add-ons, you’ll be able to get up and go whenever the spirit of adventure takes hold, and you’ll never have to mess around with third-party equipment. 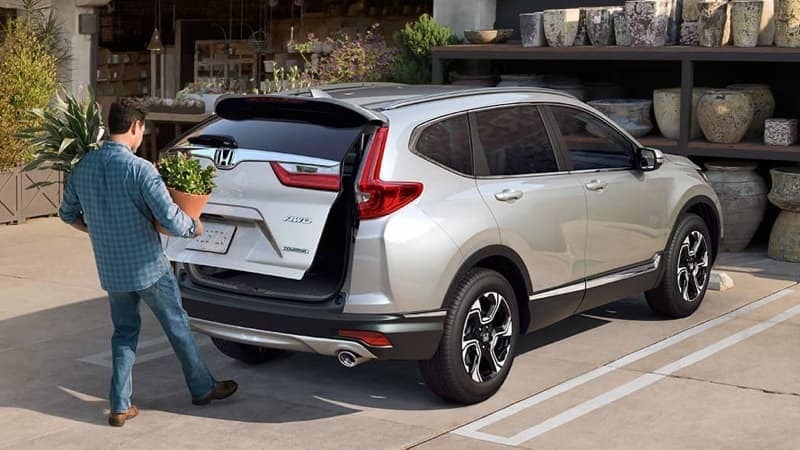 Now that you’ve got a sense of what the 2018 Honda CR-V’s cargo space can do for you, it’s time to take the next step! Drivers who like what they’ve seen so far can schedule a test drive in the CR-V by getting in touch with their local Mid-Michigan Honda Dealer. When you take advantage of our current offers, you can take the CR-V home at a great price.